I worked with a team to redesign the website for Stamplay, a web application builder. Our goal was to create a new homepage to better describe their product and increase their user base. My specific role on the team was as a project manager and to complete the user experience research and design phases. 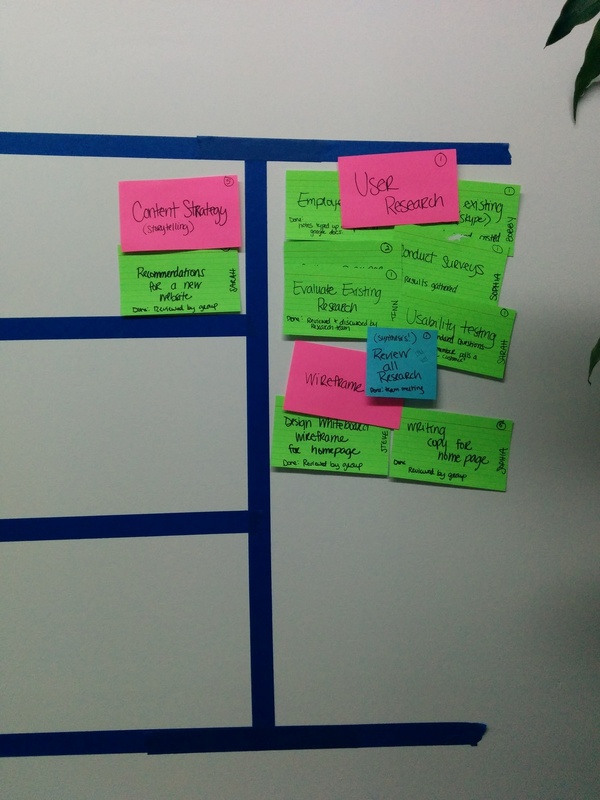 To kick off the project, we created stories and tasks for our agile scrum board. From a project management perspective, I managed our team's Trello page and held daily stand up. We focused our weekly sprints on research, design, and development. We conducted staff interviews, usability tests, and gathered user information from the client. Using this research, I created two personas. These personas types were the most representative of Stamplay's current user base and their target audience. In addition to the user research, being an analytics nerd, I took it upon myself to request access to the client's Google Analytics page. This helped us to understand the current state of the client's page views, user numbers, and behavior flows. We were able to identify that most users want to understand how the technology worked and built that into the homepage. The wireframes shown below outline the first draft that I created and the high fidelity frames that contain the copy that I wrote. OUTCOME: We presented the lo-fi wireframe prototype, which could be found here, to the client and reworked the layout to better fit their needs. The current Stamplay page leverages the changes that our team proposed.